One Sunday evening, I found myself increasing the liters per minute on my oxygen tank. Breathing had become somewhat of a difficulty that night, and my heart palpitations had returned full force. Just 10 days before, I was in the emergency room of my local hospital for the same reason; critically low electrolytes and anemia had resulted in my body working much harder than it should to keep me alive, putting me at serious risk of cardiac arrest. Already battling a serious autoimmune disease that left me reliant on a feeding tube and supplemental oxygen, these symptoms could become fatal in a matter of hours for a patient like me. I quickly alerted my family members, and we rushed out to the emergency room once again. Upon arriving, the ER waiting room was flooded with patients waiting to be seen. Some people were on their phones or computers, others were puking into bags and a few were wrapped in blankets, shivering and sweating. It was going to be a long wait for many of those individuals. I looked over to her astonished. Lucky? Was I lucky that I had to be called back within moments of arriving? Was I lucky that I was dying from a serious illness at 23 years old? 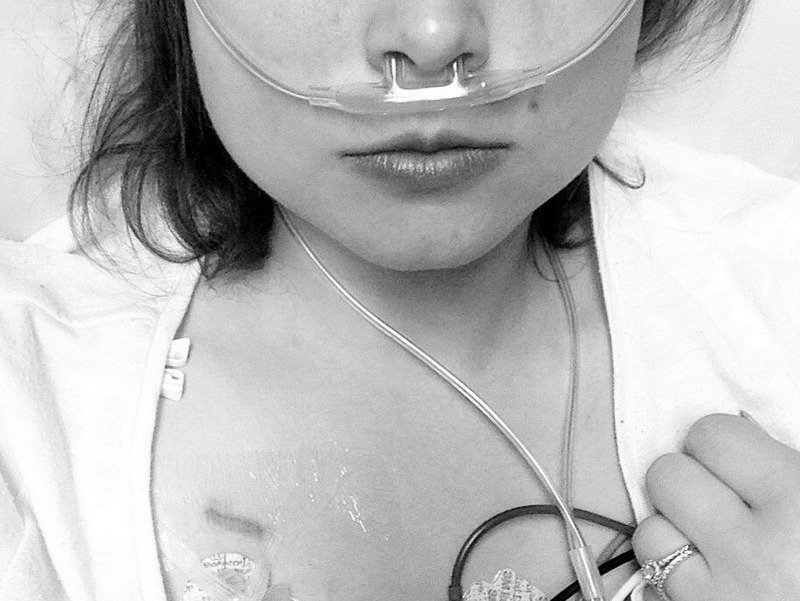 Was I lucky that I was attached to a feeding tube, oxygen tank and central line surgically placed in my chest? Lucky is not the word I’d use. Too out of breath to retort this woman’s ridiculous remark, I followed my nurse back to a room where I was swiftly admitted to the hospital. When I enter emergency care, I never know if I will step back out. Patients at the emergency room are called in order of severity, which is clearly stated in every hospital by a plaque near check-in counters. The most severe cases must be dealt with before others, so getting called back before another patient isn’t a victory. I’d gladly wait hours in an emergency room, because I know all those people called before me are in more critical shape. So to the woman who told me I was “lucky,” I severely hope you are never in need of being called back as fast as I was that night. The Mighty is asking the following: Describe a moment you were met with extreme negativity or adversity related to your disability and/or disease (or a loved one’s) and why you were proud of your response — or how you wish you could’ve responded. If you’d like to participate, please send a blog post to [email protected] Please include a photo for the piece, a photo of yourself and 1-2 sentence bio.